Unfortunately we won’t be fishing for the next few days. The massive high in the great Australian bite is generating strong to fresh S/W to S/E winds and a fair swell to go with it especially once you get a couple of mile offshore. So if you’re keen for a fish in coming days you will have to stick to the estuaries. This is very unfortunate as the fishing the past week has been hot! 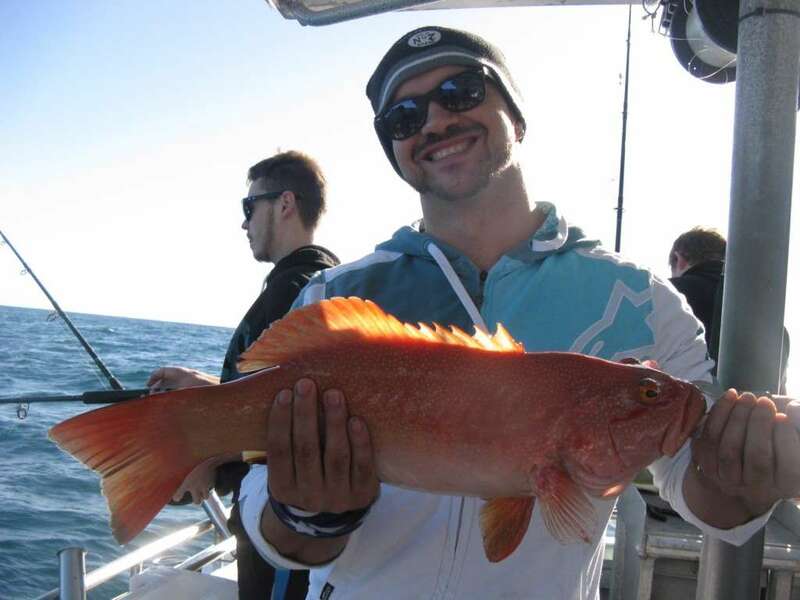 Recent trips included ½, 3/4 and full day charters so a lot of different sunshine coast reefs’ were fished. The most productive was murphy’s reef, right on our doorstep, which seen us getting into a wide range of species including pelagic like cobia, king fish, amberjack and spanish mackerel as well as the bottom feeders coral trout, snapper, parrot fish, tusk fish, maori cod and pearl perch. It just goes to show that you don’t need to “do the miles to get the smiles” at this time of year. 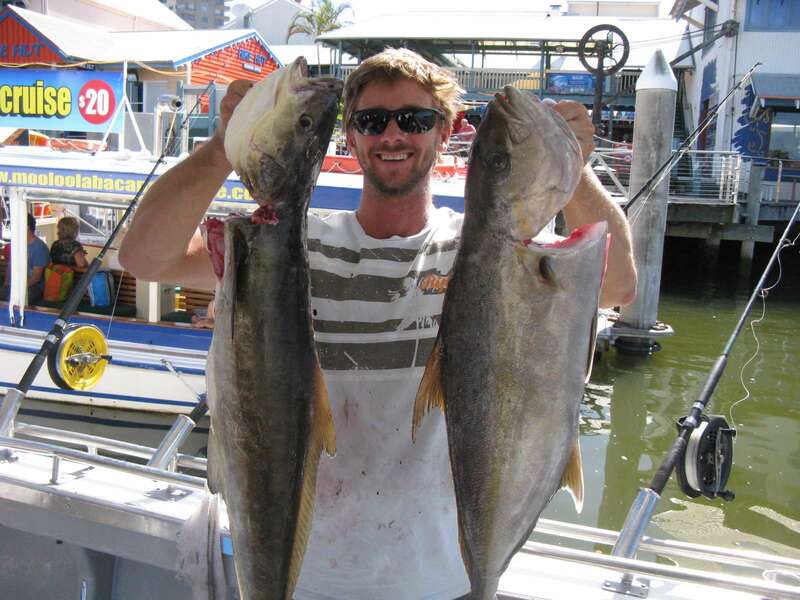 The picture below shows Tom, a regular customer, with a 5kg amberjack and a 5kg cobia well done!! 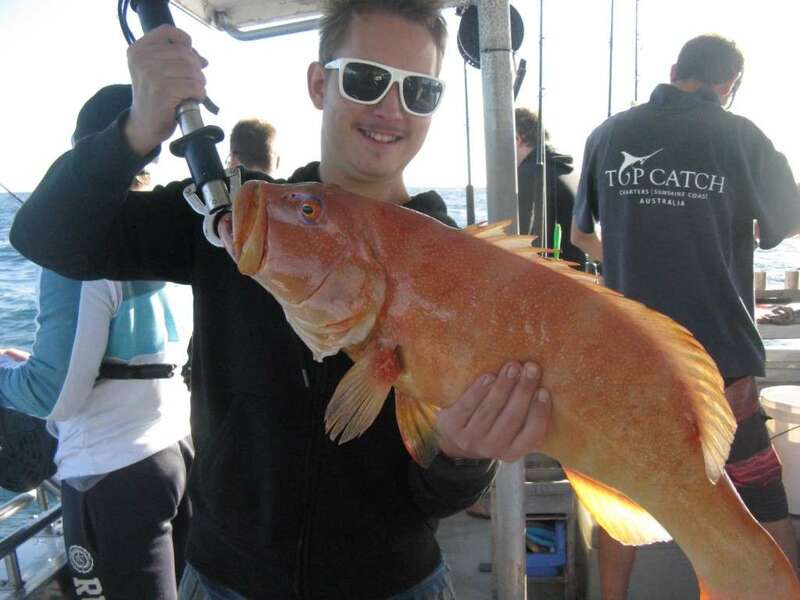 The next couple of photos are of coral trout caught on a half day. We get quite a lot this time of year and they should stick around for the next couple of weeks. 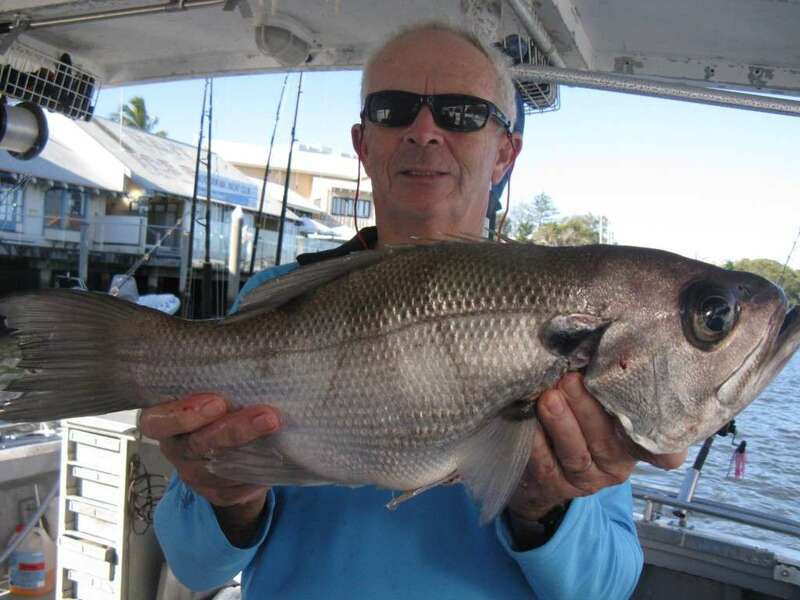 So there is plenty going on at the moment and snapper season is only just getting started, a great time of year for fishing offshore in Mooloolaba. If you would like to join us for a trip head over to our contacts page and flick us an email or give us a call – until then HAPPY HUNTING!!!! !